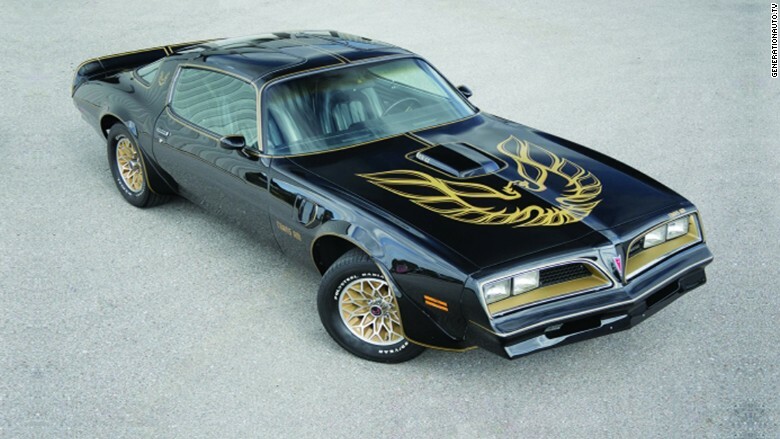 A Trans Am that was used to promote the 1977 classic movie Smokey and the Bandit will go up for auction early next year. The car, which was sold at an auction last year for an undisclosed price, didn't actually appear in the Burt Reynolds movie or the sequels. It was owned by Universal and used to promote the movies. The four 1977 Pontiacs that were used for filming were so damaged that they were destroyed soon after filming was complete, according to auction house Barrett-Jackson, which is selling the car. When this car was sold last year it hadn't been driven in nearly 30 years, according to Barrett-Jackson. So the current owner ordered a complete restoration by the McLaughlin Museum. It has the original drivetrain, including a 400-cubic inch Trans Am engine and a 3-speed turbo-hydramatic transmission. It also has a removable T-top, custom trim, and AM/FM radio with a stereo 8-track player. The car has also been autographed by Reynolds, who will be at the auction to meet the new owner according to Barrett-Jackson. Correction: An earlier version of this story incorrectly stated that this Trans Am was previously owned by Burt Reynolds and sold last year for $450,000.